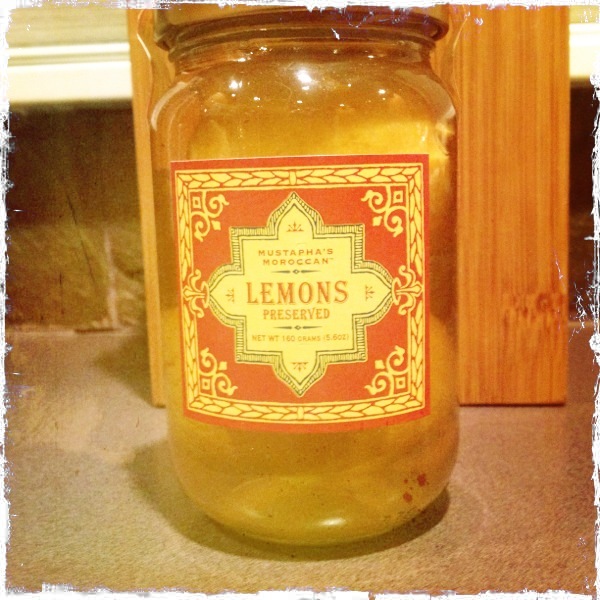 Here’s a much better use for lemons than lemonade, especially at this time of year. 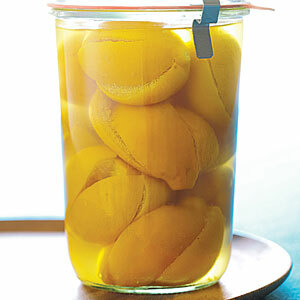 I recently came across an article in the September issue of Sunset that gave instructions for how to make your own preserved lemons. When I need them for a recipe, such as the one for Moroccan Chicken with Preserved Lemon and Green Olives that we posted in August, I usually find them (see photo) in the grocery store near the olive bar. I have made them myself in the past, however, and though the entire process takes about a week—and a fair amount of kosher salt—it’s relatively easy. If you’d like to try it, here is a link to the recipe from Sunset. This is also a good gift idea—though you’ll need to start soon if you want your lemons to be ready to gift by December 25. Note: They are shown here in a Weck canning jar, which makes a simple yet stunning presentation. This entry was posted in Fruit, Recipes and tagged Vegan, Vegetarian. Bookmark the permalink.